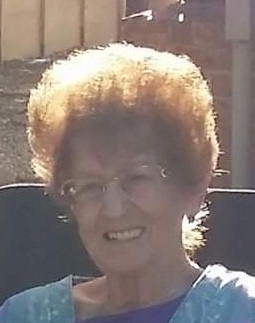 Patricia Jean Graham, 76, of Arkansas City, KS, passed away on Friday October 12, 2018. Patricia “Pat” was born on September 22, 1942 in Goldendale, Washington the daughter of Raleigh Wilson and Clara Ella (Brokaw) Smith. She graduated from Goldendale High School in 1960. After high school she continued her education and became a hair dresser. She was united in marriage to Eddie “Ed” Graham on January 5, 1966 in Yakima, Washington. Pat worked many jobs but her favorite was being a wife and mother. Pat enjoyed crocheting scrubbies, church, cooking and baking. She was preceded in death by her parents; husband, Ed; her son, Jim Graham and sister, Melinda Hawk. Her family includes her children: Tammy Williams of Tulsa, Oklahoma; Kenny Graham and Bill Graham both of Arkansas City; her sister, Mollie Earhart of Selah, Washington; her many grandchildren and great grandchildren. A Memorial Service will be held at 10:00 A.M. on Thursday, October 18, 2018 at the First United Methodist Church in Arkansas City. 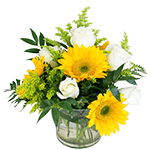 Shelley Family Funeral Home of Arkansas City, KS is in charge of the arrangements.